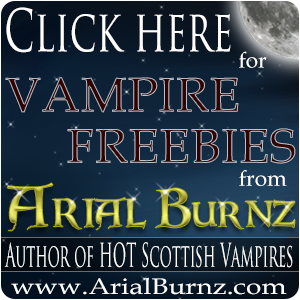 Arial Burnz » Marketing » MIDNIGHT CONQUEST Romance Trading Cards are Available!! « NEW Vampire Coaster Sets! For those of you who are not familiar with Romance Trading Cards…they are the latest craze in the Romance Novel industry. Readers are going nuts for them!! They're trading cards just like any other – people collect them, trade them, get them autographed and everything. For more information, I encourage you to visit the Romance Trading Card web site. I have done a limited print run, so once these are gone, that's it! I will be doing a limited print run for each of my novels as they come out, so keep checking my blog or web site for updates. Trading cards are available to anyone who asks for them and I'll be giving them away at all my book signings and events. 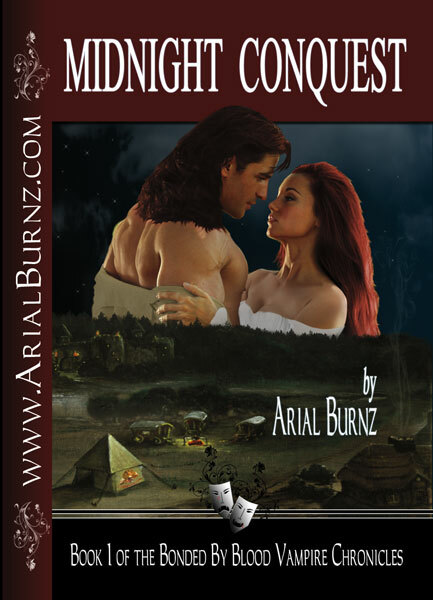 If you'd like to have a set – Midnight Conquest: Broderick & Davina – just send me and e-mail at arial@arialburnz.com and I will respond with a mailing address for you to send your SASE (self-addressed stamped envelope). Limit 2 sets per household. Are You in Southern California? GET THEM IN PERSON and MEET JIMMY THOMAS!! I'm having two Book Release parties – Rancho Cucamonga (Saturday, July 16) and Los Angeles (Tuesday, July 19) – where I will be giving away prizes, copies of my book, and….JIMMY THOMAS WILL BE THERE!! 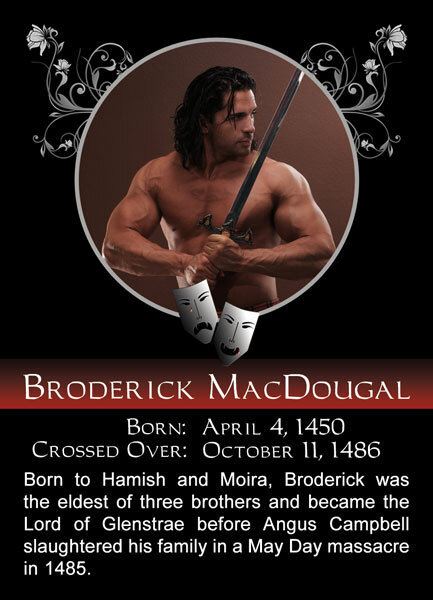 You can actually meet the man who is Broderick on my book cover and my trading cards. It is my hope Nuala will be able to make it as well. Jimmy will be at both parties and will also be bringing his HOT calendars with him. These are events you don't want to miss!! Looking forward to see you all at the parties and hearing from you for your cards. Hurry! I'm already getting requests!! Tagged Arial Burnz, Bonded By Blood, Broderick MacDougal, fantasy romance, hero, heroine, historical romance, Jimmy Thomas, love, Midnight Conquest, paranormal romance, romance, romance novel covers, romance trading cards, Sherrilyn Kenyon, Stephanie Meyer, Twilight, vampire romance, Writing. Bookmark the permalink.